You won’t need a net to catch these butterflies! 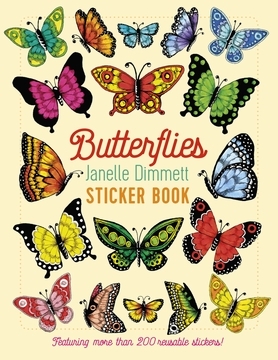 This sticker book is aflutter with the winged wonders of Janelle Dimmett (American, b. 1990). 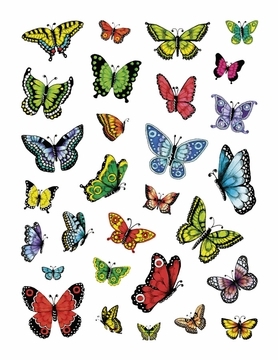 She uses her favorite media—markers and ink—to create her brilliant butterflies. Detailed pen work overlays marker colors, adding depth and vibrancy to her insect, bird, and animal illustrations. Dimmett’s love of nature is sparked by her lively imagination. Her artwork is infused with what she calls “whimsicality,” sweetly evident in her colorful baked confections (mmm . . . cupcakes), and so much more. 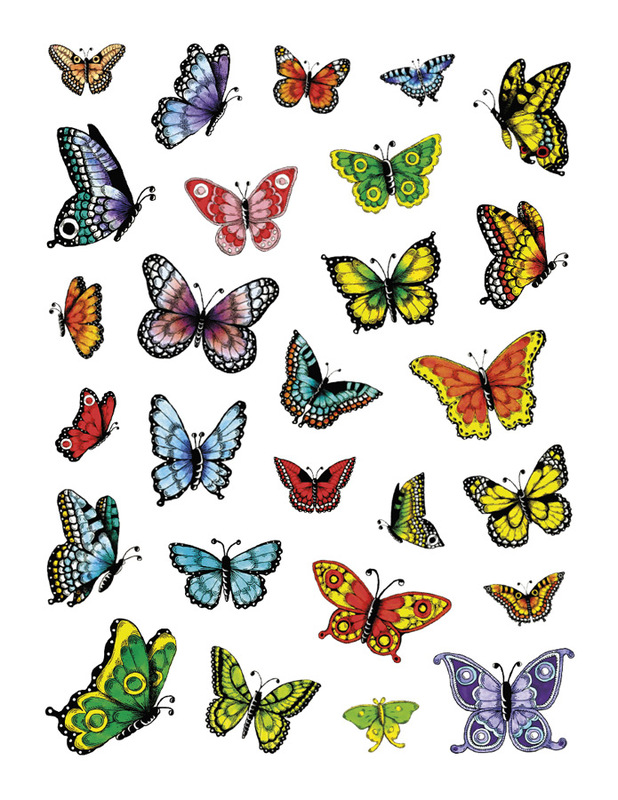 Pencil and sketchbook in hand, Dimmett spent much of her youth in rural Missouri, observing and drawing the natural scenery and wildlife around her. 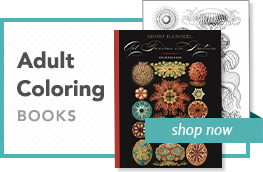 She earned a bachelor of fine arts degree from the Kansas City Art Institute and now specializes in children’s illustrations, pattern designs, and hand-drawn typography.